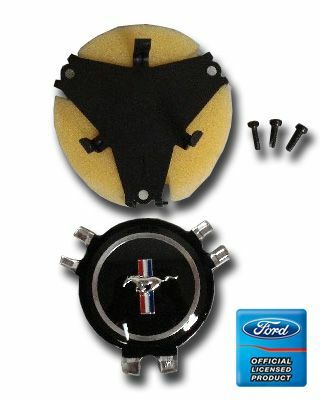 Steering Wheel Emblem Kit for 1965-1966 Mustang with Wood Wheel. This little kit is perfect for preserving that original center cap on the desirable woodgrain wheel. It includes the emblem, foam and retainer. But if you need the whole cap, we can help you there too. Kundenbewertungen für "65-66 Emblem für Holzlenkrad - Set"